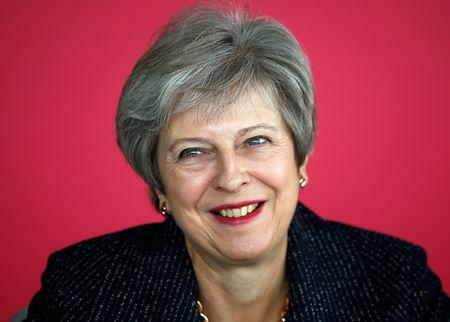 (Reuters) - British Prime Minister Theresa May briefed her inner Cabinet on Thursday evening that a historic Brexit deal was close, the Financial Times reported on Thursday. The paper quoted an official close to the Brexit talks as saying May never brings the Cabinet together to tell them recent developments and so "it feels to me like the deal is practically done." The FT said two Eurosceptic Cabinet ministers, Andrea Leadsom, leader of the Commons, and Esther McVey, work and pensions secretary, are opposed to the plan and could potentially quit. "They are going to talk a lot over the weekend and consider what they will live with and what they will walk over," the FT quoted one official close to Eurosceptic Cabinet ministers as saying of Leadsom and McVey. On the other hand, May is expecting support from her inner Cabinet, including two prominent Brexiters : environment secretary Michael Gove and Brexit secretary Dominic Raab, the FT said.